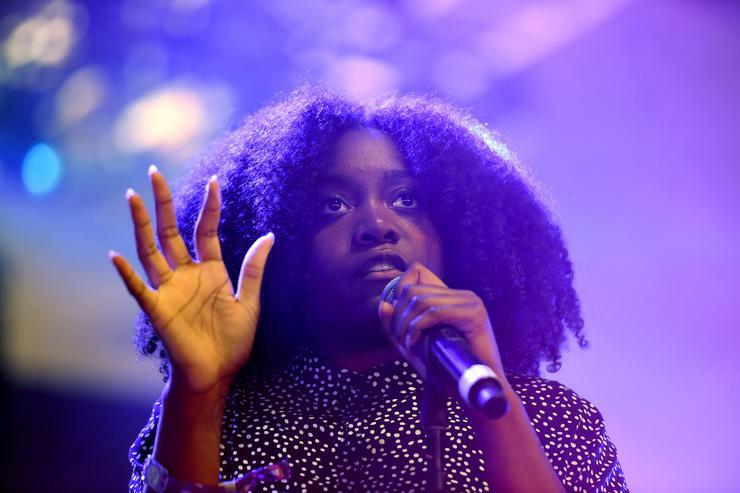 Noname's Room 25 is being hailed as one of the year's best rap albums thus far, and given the quality we've seen, that's saying a lot. While unconventional in many ways, Noname's distinctive voice and sharp ear for lyricism combine to make her an exciting force in the game; even those unmoved by her sonic aesthetic will likely have no choice but to respect her skillset. Not only that, but Noname is clearly driven by a noble sense of honor, and a no-nonsense policy toward anyone fielding abuse allegations. Case in point, the Chicago rapper wasted little time in standing up for her beliefs, after her album cover artist Bryant Giles was accused of domestic abuse. "In light of recent allegations, I will be working to replace the cover artwork of Room 25," writes Noname, in a powerful Twitter statement. "I do not and will not support abusers, and I will always stand up for victims and believe their stories. My heart goes out to Ellie, her family, and all survivors of abuse." There's no word on what her new album cover will be, though many aspiring artists have since slid into the comment section to "shoot their shot." It's likely the updates will be arriving in the imminent future, and while some have come to associate the surreal cover with the album's stream-of-consciousness vibe, we have no doubt Noname will find an appropriate replacement free of any added baggage.